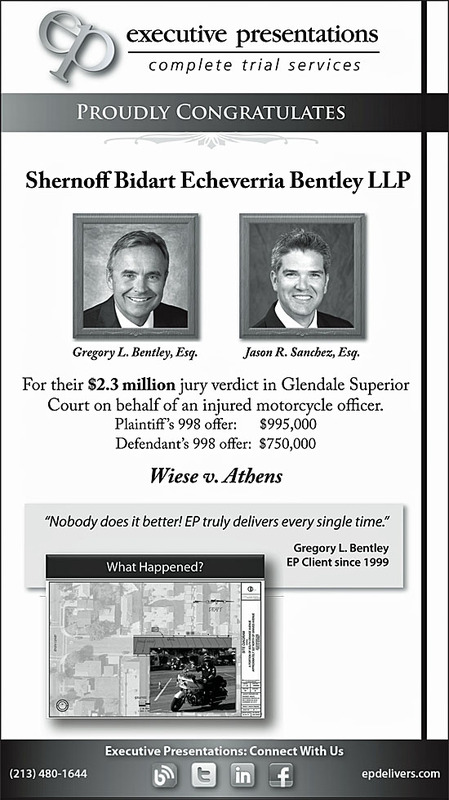 This advertisement appeared in the April 12, 2013, issue of Los Angeles Daily Journal. 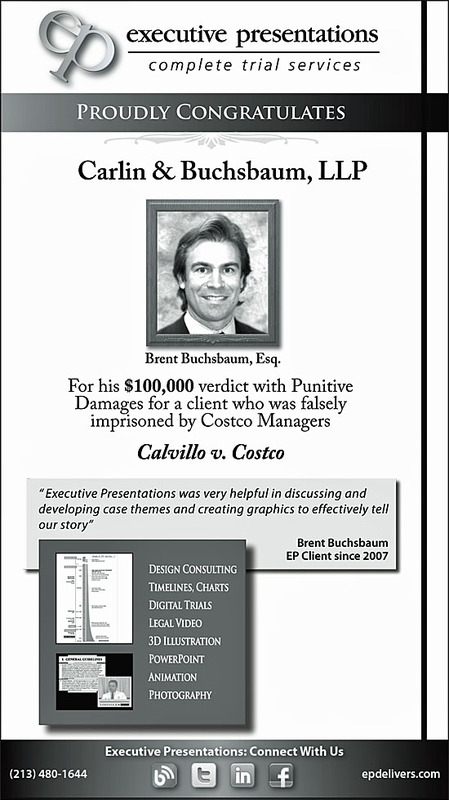 This advertisement appeared in the March 29, 2013, issue of Los Angeles Daily Journal. 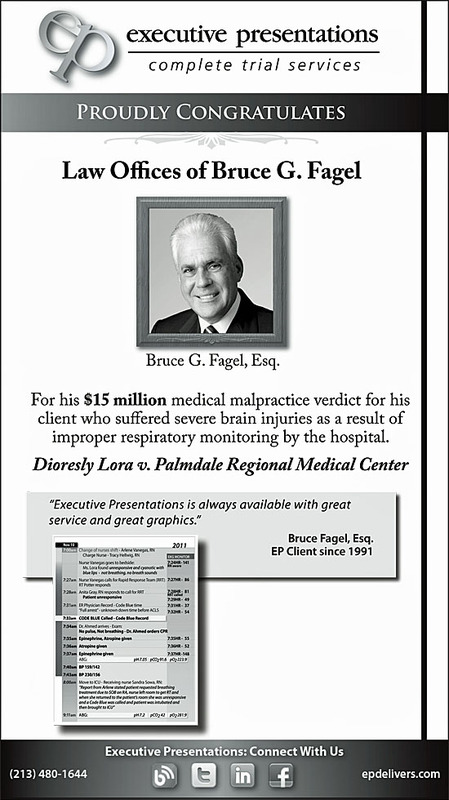 This advertisement appeared in the March 15, 2013, issue of Los Angeles Daily Journal. 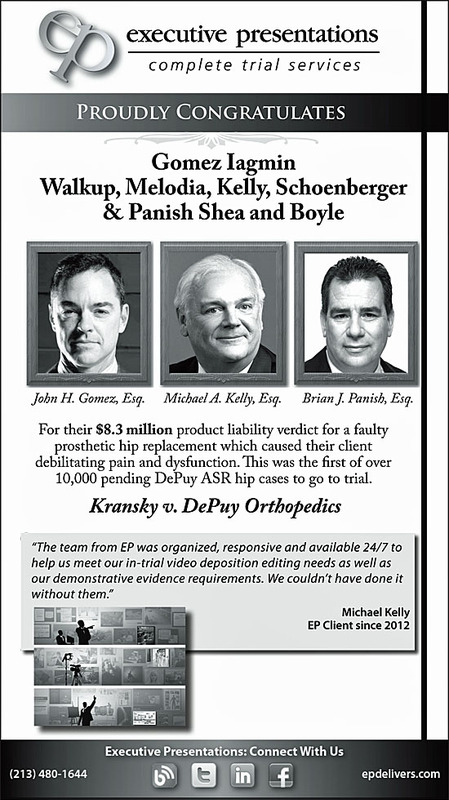 This advertisement appeared in the March 1, 2013, issue of Los Angeles Daily Journal. 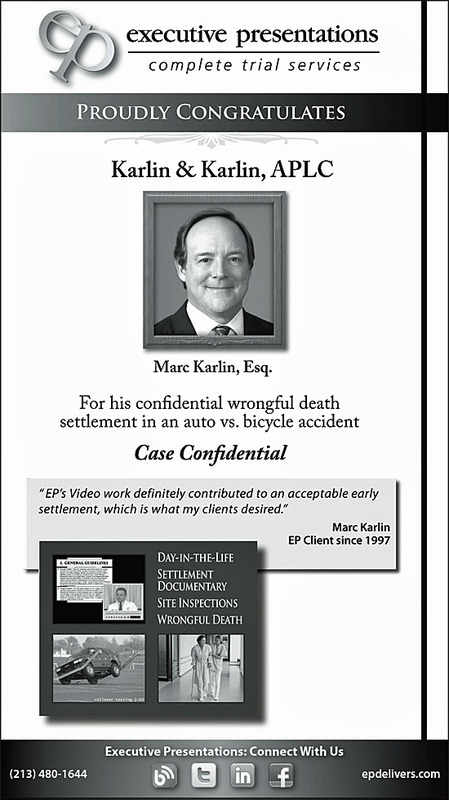 This advertisement appeared in the March 8, 2013, issue of Los Angeles Daily Journal. 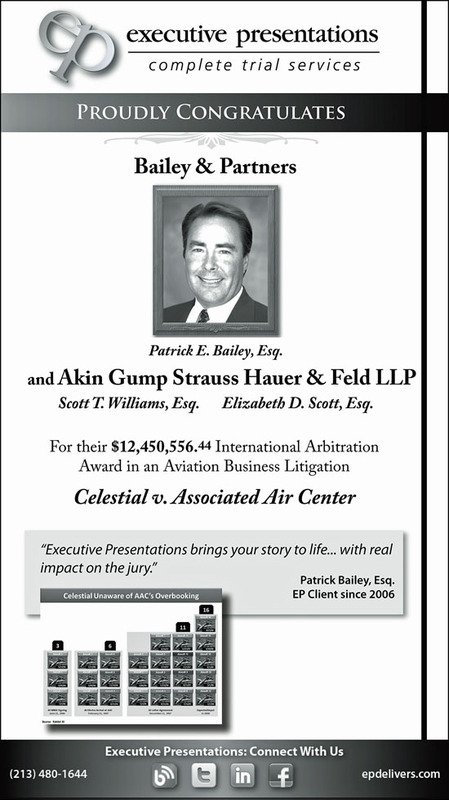 This advertisement appeared in the February 15, 2013, issue of Los Angeles Daily Journal. 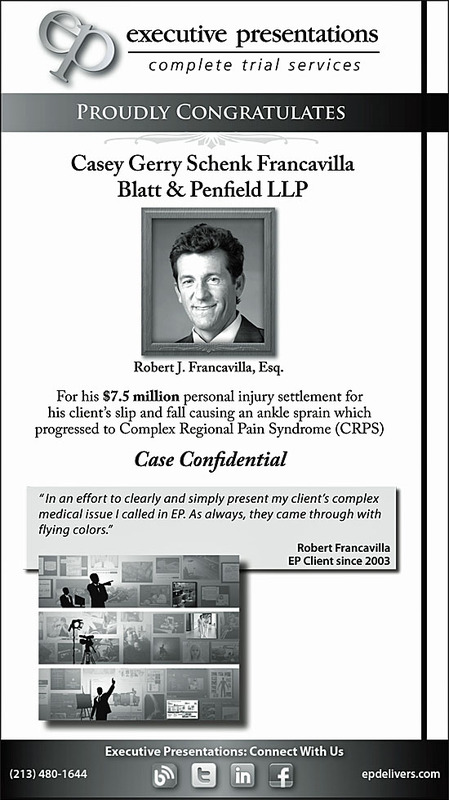 This advertisement appeared in the February 8, 2013, issue of Los Angeles Daily Journal. © 2005-2017 Executive Presentations, Inc. All rights reserved.